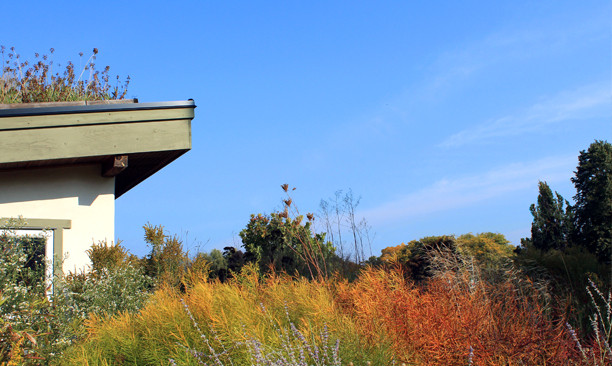 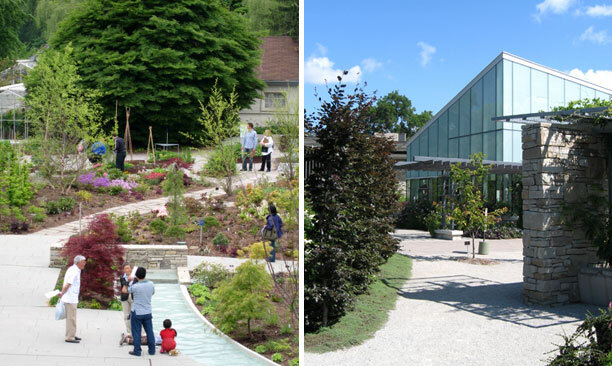 Toronto Botanical Garden - PMA Landscape Architects Ltd. 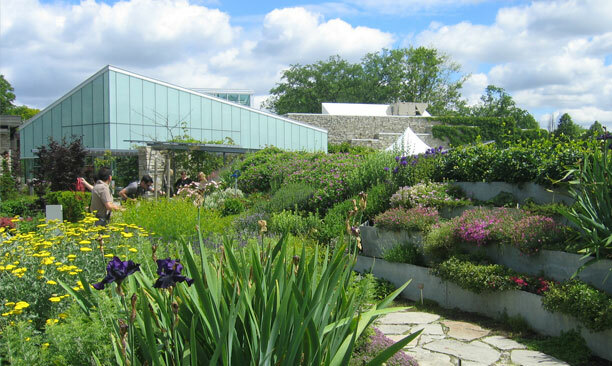 The revitalized Toronto Botanical Garden project is the first stage towards a larger vision to achieve a botanical garden of international stature. 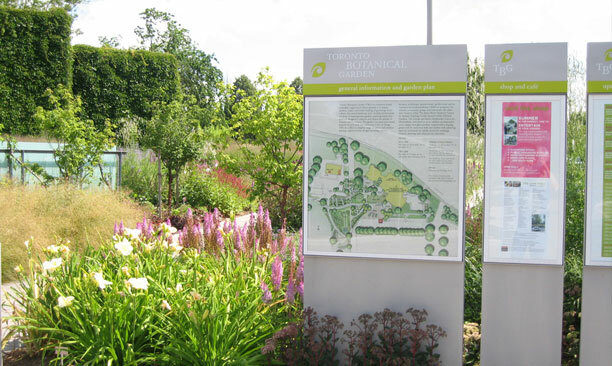 PMA Landscape Architects Ltd. and Thomas Sparling Inc. led the landscape consultant team, in collaboration with renowned horticulturist Paul Ehnes. 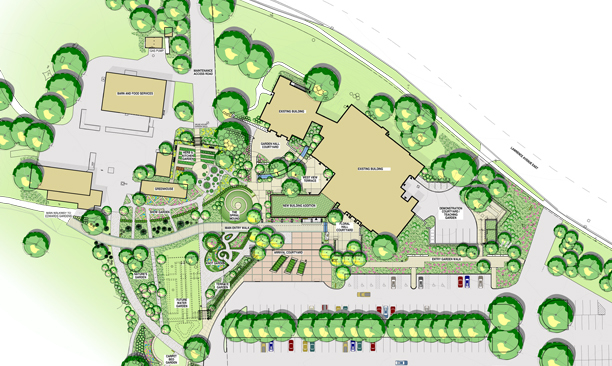 Collectively, the consultant team had to respond to the goal of attracting a broader range of the general public through innovative design and programming. 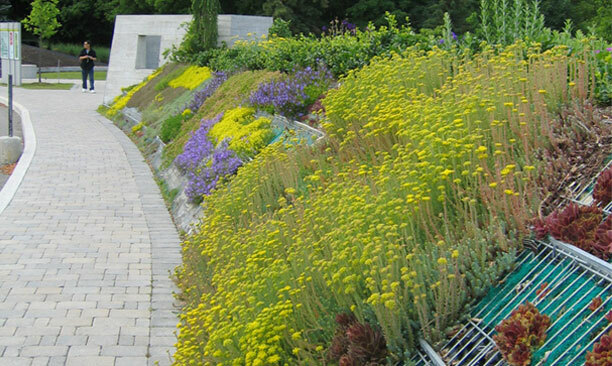 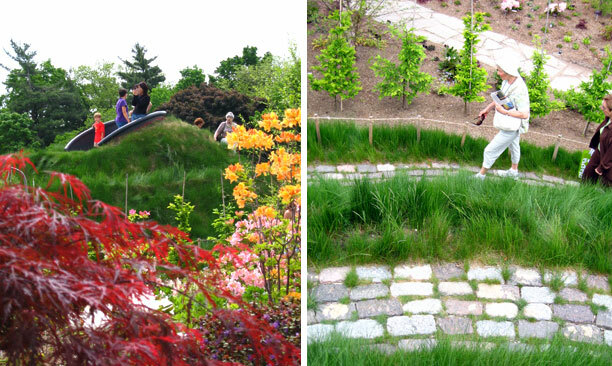 PMA expanded the mandate to include a sustainable design objective.Some of the sustainable elements include an extensive green roof on the building, rainwater collection and infiltration systems, and the reuse of salvaged materials such as the bottles and bricks in the Terrace Garden wall. 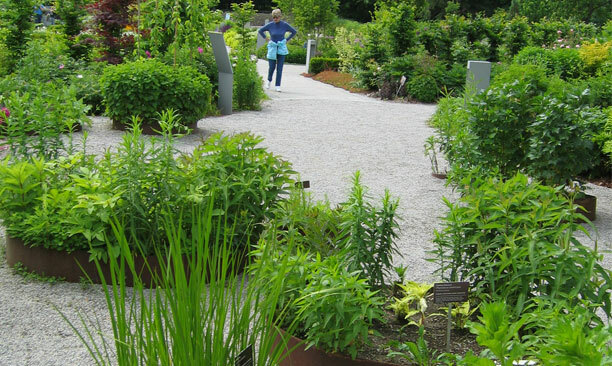 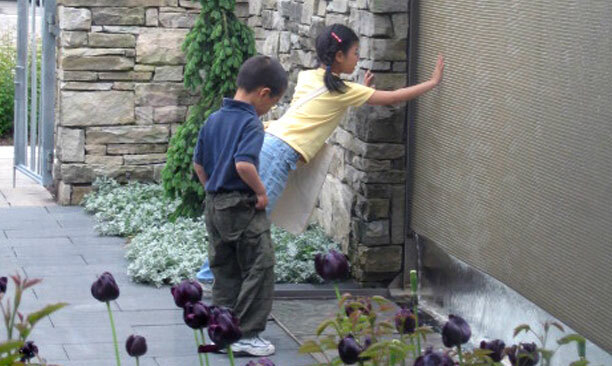 These sustainable elements were integrated into the twelve unique and contemporary gardens: Knot Garden, Terrace Garden, Herb & Kitchen Garden, Show Garden, Spiral Mound, Carpet Bed Garden, Teaching Garden, Floral Hall Courtyard, Garden Hall Courtyard, West View Terrace, Nature’s Garden and Water Garden.